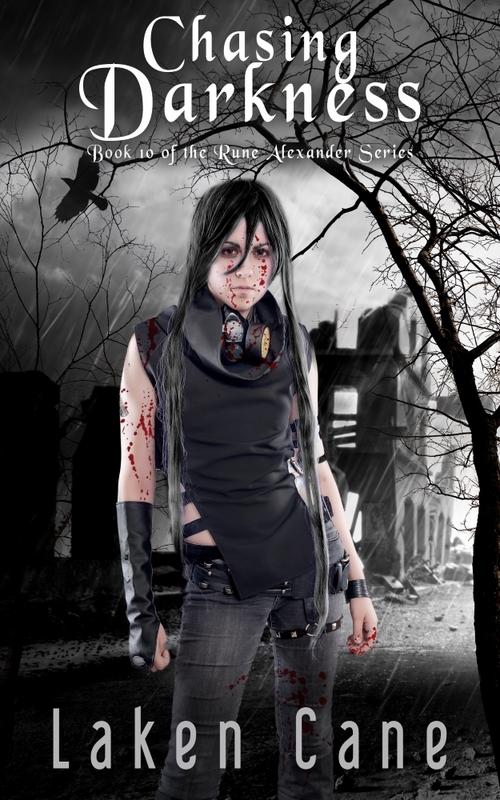 Rune Alexander book 10, Chasing Darkness, is now available. You can get it here at Amazon.com. Also in Kindle Unlimited! Here's one of the first reviews! 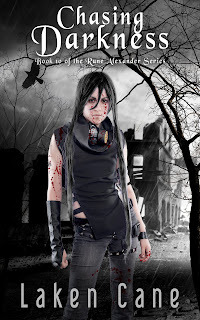 "The Rune Alexander series has to be one of the most brilliantly written paranormal series I have ever read. From the beginning, it is the fastest-paced, take-no-prisoners, no one is safe kind of read. The author has an incredible ability of writing that weaves these threads throughout the main storyline. These bits might not get their endings until future books, but when they do, it is so worth the wait. Book 10 is no exception. We finally get some of the answers, but not all. Which is great because it means Rune's journey isn't over! This time, we get to learn more about Kader, Rune's heart is wickedly tested, something that has weighed heavily on Rune since she had lost it finds its way back to her, and there is a heart-stopping shock to the system at the very end. While Rune and her team fight to get back what was stolen from them, the reader is whipped through the story at a breakneck speed. This is the kind of book you cannot put down, so be prepared and plan accordingly. I loved this book. Even after 10 books, the journey hasn't slowed, and Rune is still never safe. She is tested in every way possible in this book. And she may be losing the one person she cannot live without. I am hoping it is only temporary, but with Rune, you never know. If you can't quite remember all the previous books, it wouldn't hurt to brush up on at least the previous few. If you love a book that breaks the rules, Rune is for you. Such an amazing ride! Be prepared for an ending you never saw coming. You have been warned." First review for Chasing Darkness! This lovely installment picks up right where we left off, and the name of the game is angst and darkness right away. Characters who you thought you knew so well are showing growth, along with new and surprising sides of their personalities. It is interesting to watch how the same traumatic event effects and plays out in different people/characters (immediately and further down the line). Jack has a breakthrough moment in this one, and I develop this new love for him. This book stays at a level 10, and I just can't relax when there is so much tension, and so much is at stake. How can one not love a series that jacks you up like that?! Rune is the badass to end all badasses, but this book pours emotion. So much of Rune's heart is on the chopping block in this one; so many different people hold pieces of this vulnerable heart. BTW, could Kader and 'Grim' be any cuter, anymore badass amazing?! It's hilarious how Rune talks to the year old Kader like she's nine. I talk to my nieces and nephew like their adults, and they're smarter for it; no wonder Kader is a genius. I love these characters, love these books." A small, dangerous group has slipped into River County, determined to retrieve Lee Crane from the Annex. But Eugene has no intention of handing over his prisoner. Then the group takes something that's precious to Rune. Something that breathes, and cries, and bleeds. She pressures Eugene to make a trade--and prepares to take the decision out of his hands if he refuses. But when he unintentionally loses their leverage, Rune and her crew must race against time to break down a wall of magic and save the battered life behind it. And that may not be possible. Not even for Shiv Crew. "OMG, this one pulled at the heart strings. I was so happy she stood up for the Assassin, made my heart happy!!!!" "Lots of mystery with Reign...but love how Jack is so attached!! LOOOOOVVVEEE Jack!!!" "I ABSOLUTELY LOVE THAT YOU ANSWERED THE QUESTION RE Z'S GIFT TO RUNE!!!!!" "Ohhhhh so many WTF moments!!" The coffee addicted urban fantasy/paranormal and horror writer Laken Cane lives in Southern Ohio with her genius son, two Yorkies named Daphnis and Lexi, and one Golden named Chloe who rules them all. A couple of new things! I'm excited about that. :) I'll be revealing the cover and the blurb during a celebration party on Facebook, Monday, June 19th, at 7:00 pm Eastern. We're having the party on my author page, so if you aren't yet following the page, come over and give us a like so you can join the fun! *In book 10, a few things that happened in the short story, Shadows Past, are referred to. If you haven't yet read the short, you'll want to! You can find it HERE for only $0.99. In other news, I'm working to get all my books released as audiobooks. This will take a while--I have a lot of books! But I already have Shiv Crew waiting for narrators to audition. Hopefully I can find the perfect person to voice the books.